Disaster Playground investigates future outer space catastrophes and the procedures to manage and assess the risks. The film follows the scientists planning the monitoring and deflection of hazardous Near Earth Objects and the real-life procedures in place in the event of an asteroid collision with the earth. Follow the chain of command that runs from the SETI Institute and NASA to the White House and United Nations and meet the people who are responsible from protecting us from a potentially devastating asteroid impact. 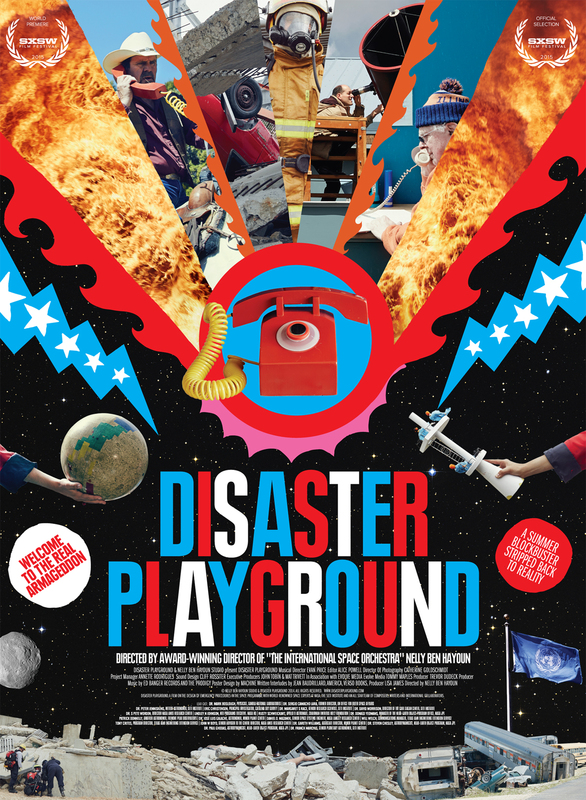 Disaster Playground was released at SXSW in March 2015 and competed in the Feature Documentary, Vision Category which promotes ‘audacious filmmakers, risk-taking artists in the new cinema landscape who demonstrate raw innovation and creativity in documentary and narrative filmmaking’. 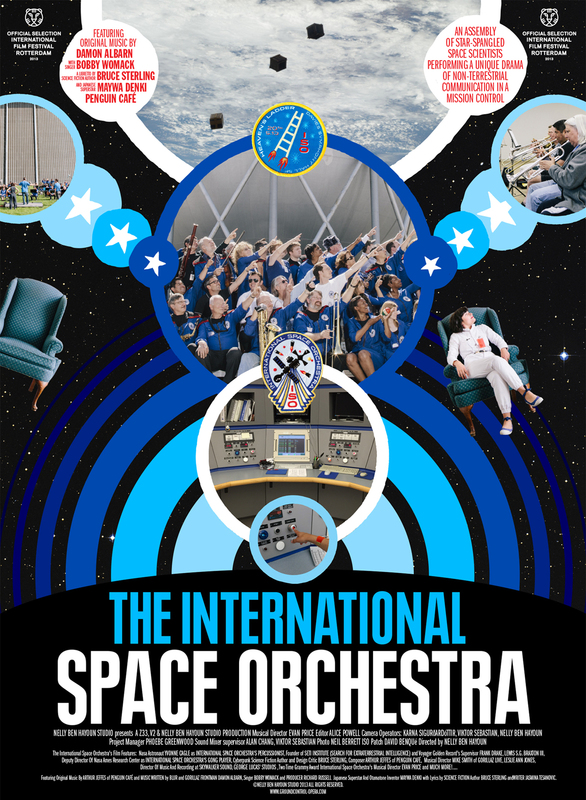 Join the International Space Orchestra – an assembly of star-spangled space scientists from NASA Ames Research Center and SETI Institute, Singularity University and the International Space University – in the adventure of performing a unique drama of non-terrestrial communication and the techno-wonders of mission control rooms. Featuring original music by Arthur Jeffes of Penguin Café and music written by Blur and Gorillaz frontman Damon Albarn, singer Bobby Womack and producer Richard Russell; and Japanese superstar and Otamatone inventor, Maywa Denki. With lyrics by science fiction author Bruce Sterling and writer Jasmina Tesanovic. Musical director: Two time Grammy award winner Evan Price. Space Scientists of NASA Ames Research Center and SETI Institute believe that understanding the crucial and elemental necessity of embracing both music and science will enable us to endure and thrive on our journey into space.